He said he believes the film has a positive message for children. 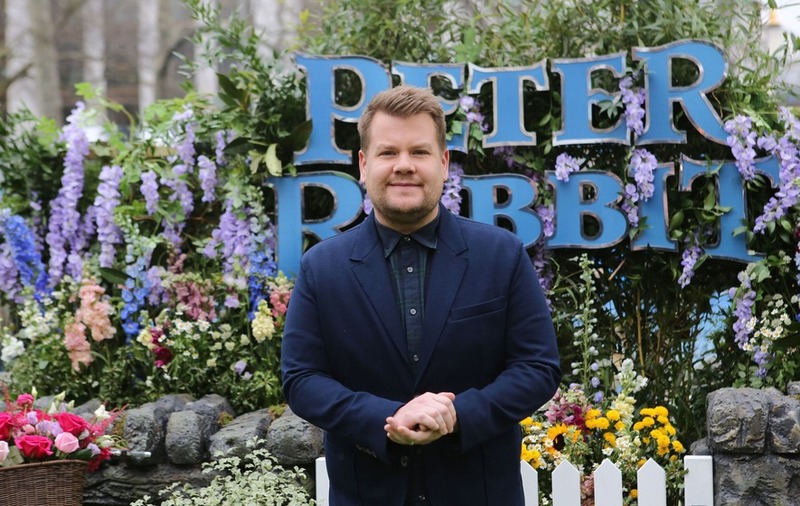 James Corden has accused those claiming Beatrix Potter would not have liked his live action Peter Rabbit film of being “snobby”. The actor and talk show host lends his voice to the famous animal in his first big screen depiction. It is the first time the Potter estate has given permission for a film but some detractors have said the author, who died in 1943, would not have been happy with the results. Asked about the mixed views on Potter’s opinion as he arrived at the London premiere of the film, Corden told the Press Association: “Those mixed views I have never have understood, really. “I sort of felt some reticence about doing it when I got offered it simply because of what it means to so many people in this country and across the world. However, Corden argued: “What I love most about what Will (Gluck, the writer and director) has done and I think the Beatrix Potter estate responded to is there is so many small vignettes across the film that he has taken from all of those books. “At its core, at its actual core, what the film is about, aside from all the big comic set pieces and the brilliant soundtrack and the animation is wonderful, what the film is actually about is acceptance. “It’s about going ‘people will look different to you and sound different to you and be different to you and actually if you accept your differences you will find lots of similarities’. “What people do is go ‘I’m going to put up a wall and this is mine and that is yours and you don’t come in here and actually what you should do is open your arms and go ‘well I don’t look like you or understand you but perhaps we can find some common ground’. Star Wars actress Daisy Ridley, who voices Cotton-Tail, also said she believed Potter would be pleased with the results. She said: “I think Beatrix Potter would first be gobsmacked that it had become the success it has and the fact that they (the estate) believed in this script says a lot, because obviously her family knew her. Peter Rabbit is released in UK cinemas on March 16.